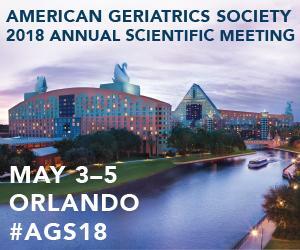 Breaking barriers to advance care planning for incarcerated older adults, improving osteoporosis screenings for older men, and exploring the link between hypertension treatment and an increased risk for falls are among headline presentations anchoring the American Geriatrics Society (AGS) 2018 Annual Scientific Meeting (#AGS18), held May 3-5 (pre-conference day May 2) at the Walt Disney World Swan & Dolphin Resort in Orlando, Fla. Prisoners are among our nation's most rapidly aging vulnerable patient populations, but very little research has sought to understand their healthcare needs. The resulting lack of evidence extends to Advance Care Planning (ACP). ACP is the process of engaging with health professionals, family, and friends to plan for future healthcare decisions. To address this knowledge gap, researchers investigated perspectives on barriers to ACP in prison among 24 correctional clinicians in different parts of the U.S. The researchers found that many correctional clinicians voiced discomfort engaging in ACP in the prison setting, and that misconceptions about ACP were common, including that it is only for patients at the very end of life or that it does not require patient participation. They also reported unique barriers to engaging in ACP, including profound patient mistrust and obstructive institutional policies. According to the researchers, their findings suggest that many correctional clinicians would benefit from additional training in this area, and that system-level changes are needed to adapt existing ACP programs to account for the unique barriers found in correctional settings. Osteoporosis–a medical condition in which the bones become brittle and fragile from tissue loss–poses a significant but often silent threat to men, too few of whom recognize the disease or indications they may be at risk because osteoporosis is often associated with women's health specifically. Clinical practice guidelines also vary regarding the age when osteoporosis screenings should begin for men, in part because the specific age threshold when screenings become effective for men without other fracture risks remains unknown. In this new study, researchers used data from the Centers for Medicare and Medicaid Services and the U.S. Department of Veterans Affairs to look critically at osteoporosis screenings and bone fracture cases among men between the ages of 65 and 99. Of more than 183,000 men screened for osteoporosis, 18 percent were over the age of 80. For these individuals, screenings were associated with a 15 percent lower risk for fractures compared to the risk for the rest of the older male population. Additionally, the proportion of men in the study who met thresholds to receive at least one prescription for an osteoporosis medication was slightly higher in men older than 80 than it was for younger individuals. Findings not only support universal osteoporosis screenings for all men over age 85 but also suggest that men as young as 65 may benefit from diagnostic evaluation when certain risk factors are present. An increased risk for falls is a concern for older adults who pursue "aggressive" targets for lowering high blood pressure, often defined as targeting a systolic blood pressure (or "SBP"–the first of two numbers comprising your blood pressure reading) of less than 120 mmHg (millimeters of mercury). Little is known, however, about links between recurrent falls and less stringent blood pressure targets pursued through "de-intensified" blood pressure treatment. To explore that connection, researchers from New York and California looked at data from American veterans older than 65 who had hypertension (the medical term for high blood pressure) treated with one or more of five commonly-used classes of medication. The researchers looked specifically at veterans who fell three days or fewer after an SBP reading of 101-120 mmHg or 80-100 mmHg, suggesting aggressive blood pressure control. The researchers then looked at whether the person's treatment had been de-intensified (defined as decreasing the dose or discontinuing a medication for high blood pressure). The researchers then compared the 30-day risk for another fall among veterans who did and did not have their high blood pressure treatment de-intensified. The 30-day subsequent fall risk was lower in some but not all people with de-intensified blood pressure control. Among VA nursing home residents who had a fall and a low SBP, between 25 percent and 34 percent had their hypertension treatment de-intensified. Among these, individuals with the lower blood pressure levels (an SBP of 80-100 mmHG) had a significantly lower risk for falling again within 30 days of their first fall. According to the researchers, findings suggest that blood pressure medication de-intensification may reduce recurrent falls in some nursing home residents with more aggressive blood pressure targets. For information on meeting registration (free to members of the media), as well as updates on these and other #AGS18 program highlights, visit Meeting.AmericanGeriatrics.org. The AGS Annual Scientific Meeting is the premier educational event in geriatrics, providing the latest information on clinical care, research on aging, and innovative models of care delivery. More than 2,500 nurses, pharmacists, physicians, physician assistants, social workers, long-term care and managed care providers, healthcare administrators, and others will convene May 3-5, 2018 (pre-conference program on May 2), at the Walt Disney World® Swan & Dolphin Resort in Orlando, Fl., to advance geriatrics knowledge and skills through state-of-the-art educational sessions and research presentations. For more information, visit Meeting.AmericanGeriatrics.org.